Which chimney do you think Santa‘s little helper is hiding in? Take a quick guess and find out the answer at the bottom of the page! Did you guess right? Yes, Santa’s little helper was hiding behind chimney C! Bringing cold and wind and rain. Midwinter has a special marker. With choirs that sing and bells that chime. Good cheer is spread across the world. To friends and family far and near. With all good things – like Christmas cake! 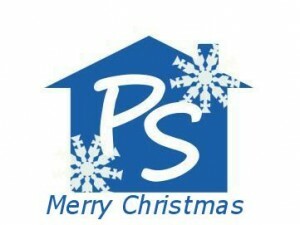 We hope you have a lovely break & don’t forget if you have any property issues – feel free to give us a call 0800 880 6264.